Make your holiday memorable with Sojourn Homes and Cottages. Celebrate & welcome the breezy summers with your family and friends in a warm way. This is the time for a perfect outing, vacation, festivals to be celebrated and experiencing the sunny weather at Sojourn cottages in Manali. Rejoice this term of summer in the Himalayas, every bit of sun-rays, green trees. Witness the summer’s spread across the picturesque snow-capped mountains and river Beas. Sojourn would be delighted by the presence of your family & friends and offer you the best endurance. 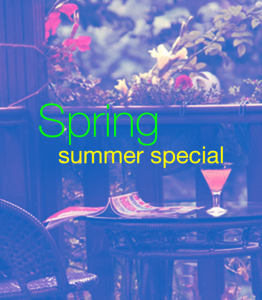 Summer Spring Special, offer valid during 15th April – 14th July. Three Nights & Four Days Stay. Above mentioned prices are on M.A.P Tariff basis. Prices inclusive of all taxes. (These include: Service Tax @7.42%, Luxury Tax @10% and VAT on Food & Beverages @5%).Extra day extendable at Pro-Rata basis (Subject to Availability of Accommodation). Accommodation for every extra person (Adult 20 and above): Rs. 1800/- on MAP. Accommodation for every extra person (Teen: 13-19 Years only): Rs. 1400/- on MAP. Accommodation for every extra person (Kid 6-13 Years only): Rs. 1000/- on MAP. Kids below the age of 6 – No Extra Cost. Welcome drinks (hot & cold non-alcoholic beverages), served with home-made cake,cookies & fresh fruit basket on the day of your arrival. Bed tea + breakfast, evening tea with some vegetarian snacks & Dinner of your choice & your preferred timings. (3 breakfasts & 3 Dinners) (No Buffet). One night dinner coupon to dine at Sher-E-Punjab restaurant (Snacks and beverages not included). One day private bon-fire with bar-be-que (2 Veg & 2 Non-Veg Snacks). Hot Almond (Badam) milk every night for all or milk of your choice. Two Mineral water bottles per room, everyday. Free Pick-up & Drop Service once to/from Manali Bus Stand (applicable to Volvo Transfer Delhi-To-Delhi Only).